The nation’s best-selling midsize pickup of the decade is getting a redesign from the ground up. The powertrain, transmission, suspension, look, and features are all new in the 2016 Toyota Tacoma, coming soon to Thomasville Toyota. The 2016 Tacoma will come with a 4-cylinder engine or an all-new Atkinson cycle V6. Equipped with Toyota’s D-4S technology, the 3.5L V6 features both direct and port fuel injection and can haul up to 6500 pounds. Control your V6 with a new 6-speed manual transmission, or feel the power with a new, quick-shifting 6-speed automatic. The all-new 2016 Toyota Tacoma is designed for agility and action. High-strength and ultra-high-strength steel in the frame increases the truck’s rigidity and overall strength. The front and rear suspension, springs, and axles have all been fine-tuned for improved on-road and off-road power and durability. 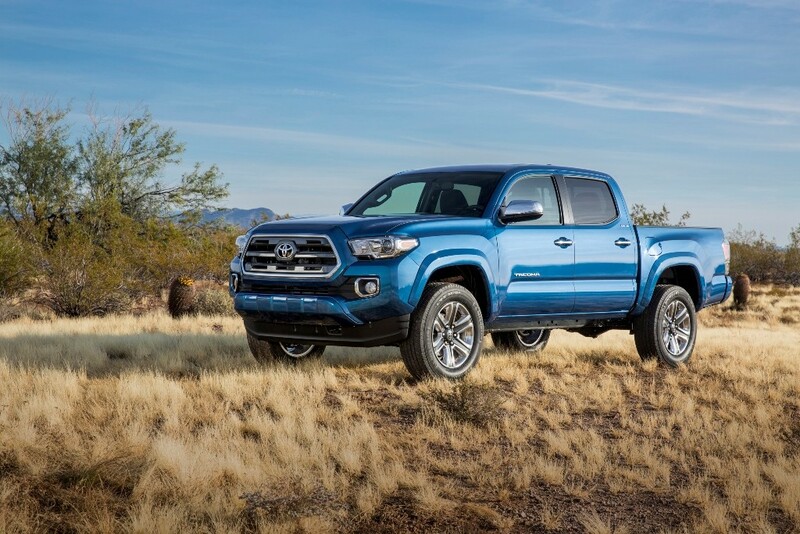 The 2016 Tacoma exterior is updated to reflect its updated capability. The new front end features a bold upper grille and a taller, more rugged hood. In the back, a new locking tailgate has an integrated spoiler and won’t slam down with an included easy lowering feature. An available tri-fold tonneau cover keeps gear safe and secure. Numerous features bring the 2016 Tacoma to the forefront of safety, entertainment, and convenience. Charge your smartphone simply with available Qi wireless charging. A SmartKey with Push Button Start let you get in and get going quickly. Blind Spot Monitor, Crawl Control, and Multi-Terrain Select are some of the available features that ensure a safe and stable drive. Don’t forget a minute of the action with a standard GoPro camera mount next to the rearview mirror. The 2016 Tacoma will be arriving soon at Thomasville Toyota.